Black, grey and navy are traditional classy picks on suit colors, suitable for business & formal meetings. Too many suits of these colors? Looking for some alternative suit color? Darmian recommends this color highly. 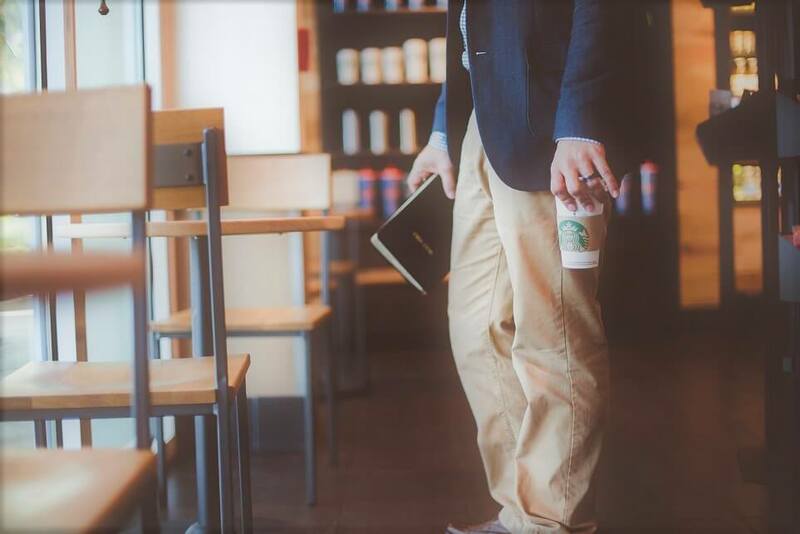 A tan suit (or khaki suit) is an excellent choice for casual meetings and social occasions (like weddings). Khaki goes into the semi-casual and casual territory; it is also the ‘outdoor’ color, a perfect choice for events held outdoors during the day time. Its lighter color also makes khaki suit ideal for summers. 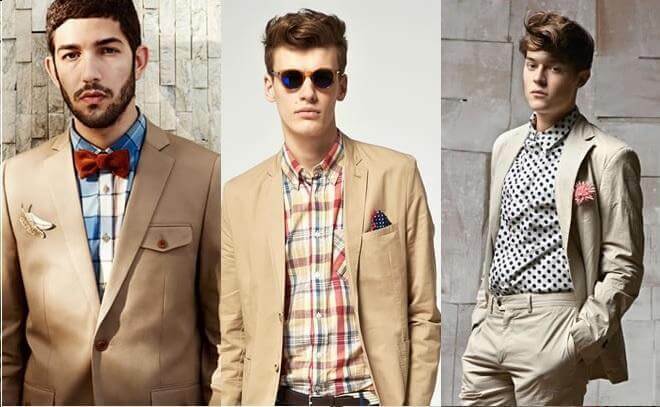 1) The Cutting Style for Khaki Suits – Italian Cuts? or British? Khaki suits fit well with slimmer British-cuts and Italian-cuts. However, avoid comfy American cut as it is too bulky to carry suits of tan color. Find more about British-cut, Italian-cut, and American cut here. Khaki suits match well with both double-breasted style AND single-breasted style. 3) What Colored Shirts Match Well with Tan Suits? Darmian recommends either white, or light blue shirts. The color of khaki inherently gives a fresher (young and energetic) look. Shirts of darker color will be anti-climax.